We are all blessed with the same amount of hours each day. It depends on us how we make the most out of it. The essence of productivity is meaningfully improving your output rate on a meaningful task. Blogging has taken over the internet and as bloggers, we’re always looking forward to getting more things done. Being a blogger, it is very important and a wondrous thing to be more productive. The more you blog, the more Return on Investment (ROI) you get from the activity. In a competitive tech world like today’s, bloggers need to focus on many aspects apart from the simple mental fortitude. As bloggers, we are responsible for the content we present. Not only this, we have to make sure our content is regularly updated, accurate and engages audiences at large. And to do that, not only our hard work is enough, we also have to carefully monitor and analyze our efforts and progress regularly. Luckily there are a variety of productivity tools out there that help writers write more with less distraction and stress. So, today, we will be sharing some essential productivity tools for bloggers that make writing more effortless, straightforward, and effective. StayFocusd is a productivity tool that helps you to stay focused (as per its name) on your work. It increases your productivity by limiting the amount of time that you spend on other time-wasting websites. With the internet we have, we are likely to get lost in the web world while trying to Google something. Also, we’re never really done with our “one last scroll” on Facebook or other social media platforms. What I am trying to say here is that it is extremely easy to get distracted with all the entertainment options we have. StayFocusd is a productivity extension for Google Chrome that helps you stay focused on your work by restricting the amount of time you spend on time-wasting websites. Once your allowed time has been used up, the sites you’ve blocked will be inaccessible for the rest of the day. The extension is highly customizable; you can block/allow entire websites, specific subdomains, paths, pages, in-page content, and more. Having the extension enabled will surely help you increase your productivity. Not only the productivity, you will also feel less stressed, and on-edge as you will not constantly have to check your notifications. The StayFocusd extension sure does deserve a try. Grammarly is one of my personal favorite productivity tools. It helps you correct your grammar and spelling mistakes. It is a simple Chrome extension but is very helpful in mending your grammatical errors and improving the quality of your writing. Not only while blogging, you can use the Grammarly extension while messaging, emailing, on social media platforms, on Microsoft office tools and more. It also comes with a premium version, where you will be alerted with all the advanced mistakes on your content. The free version only points out the spelling mistakes and major grammatical errors. Once you use the extension, you’re likely to get used to it and it becomes indispensable after only a short time. So, get Grammarly today and improve the quality of your content. ContentGems is a content discovery tool that allows you to build up a reserve of content to curate and share. It automatically finds relevant and timely content to plug into anything, anywhere. It is a useful tool for every work field, especially for bloggers and consultants who work with various clients and industries. 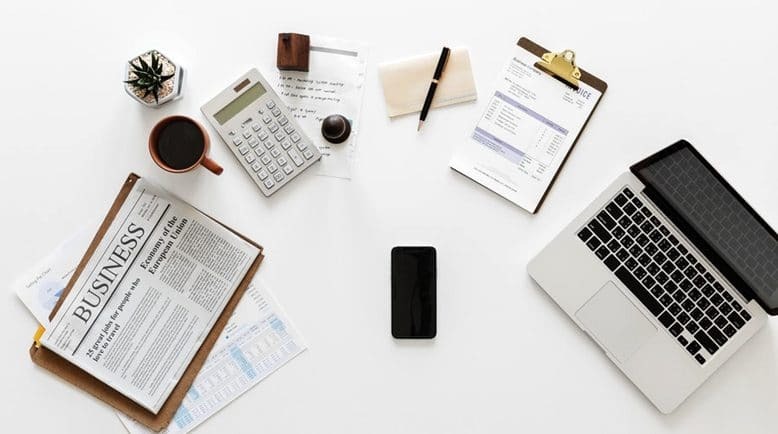 When you’re blogging for multiple clients or industries, it can be really difficult to stay updated on the hot cakes in every industry. And with a productivity tool like ContentGems, it will make it seem like you’re a plugged-in industry insider, even if you’re brand new. Check out the official ContentGems website for more information on this content discovery engine. Another content discovery tool that is worth checking into is Feedly. It is a bit broader than keeping a tab on trending content; you can track keywords, YouTube channels, and Tweets. It also carries the ability to integrate with several other productivity tools like Slack, Evernote, Trello, etc. Feedly helps on getting ideas on what’s trending or what competitors are writing about. Feedly is an RSS feed, a place to see real-time updates from your favorite sites and news sources, all in one well-organized spot. 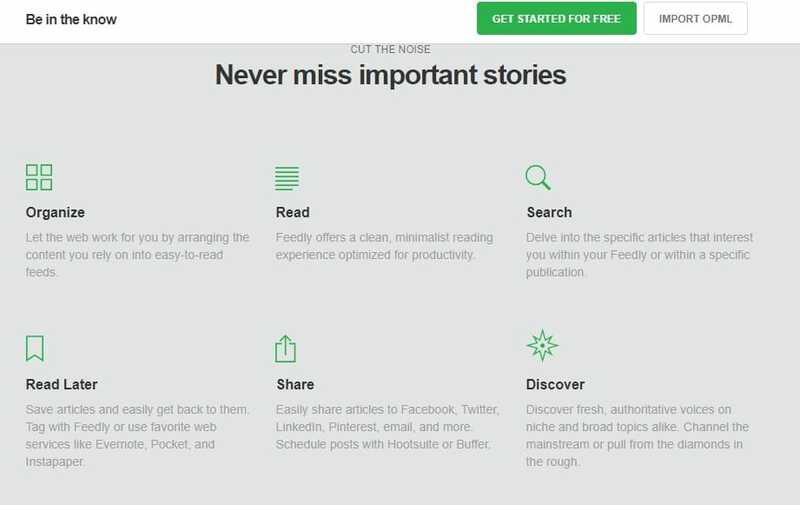 With Feedly, follow various blogs, scan the headlines, and more. Also, you can organize your sources in differently themed feeds; this will help you maintain a clear path on which type of articles to go for first. Keep up with all the hot topics that matter the most to you with Feedly! Wordable is a pretty handy tool when it comes to blogging in WordPress. 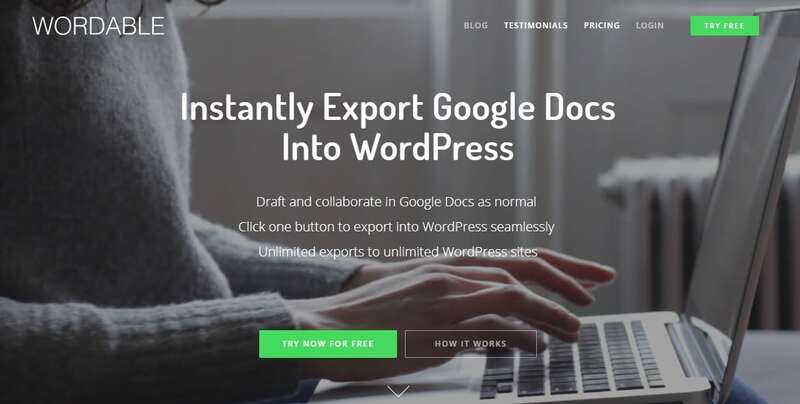 It is a simple tool that helps you upload Google Docs to WordPress in seconds instead of all the manual copy-paste task. If you’ve tried transferring images from a Google Doc, you might know that it is extremely frustrating and time-consuming. And with Wordable, importing content from your Google Docs to WordPress dashboard can be done in just a single click. Bloggers in WordPress and who use Google Docs to write blog posts should definitely check out Wordable and see how easily it is to import the articles. Check out Wordable here. Evernote is a simple solution to keep everything organized with your blogging tasks. From writing content doing research for your next blog post to making a checklist of to-do things, Evernote is one of the best productivity tools. You can manage everything—from big projects to personal moments. It captures ideas and inspiration in notes, voices, and pictures, which then will help you never lose track of your tasks and deadlines. Evernote allows you to tags things easily, clip things from the web, and work across different devices. You can also share notebooks with your team if necessary; it is like a virtual notebook with extra features. Simply, sign up and choose the plan that fits your needs perfectly and get started with Evernote! PaperRater ensures the quality of your content; it helps you avoid errors. It is a free resource that utilizes artificial intelligence to help students and bloggers write better. The tool is like a proofreader that works while you write. It quickly spots the grammatical errors and spelling mistakes. Also, the tool provides suggestions on word choice and style. 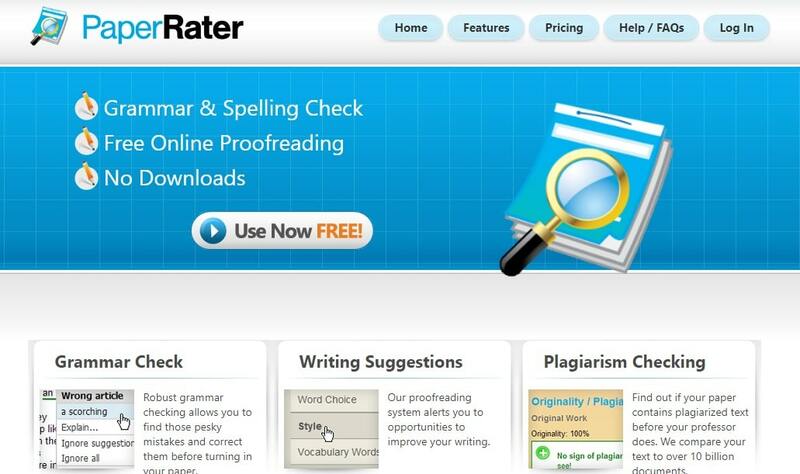 PaperRater is a tool that combines Automated Grammatical Error Detection, Automated Essay Scoring, Automated Proofreading and Plagiarism Detection. Try out PaperRater today and improve your writing skills. Finally, here ends our today’s list of essential productivity tools for bloggers. If you’re a blogger, you must remember that your content represents you and you should always ensure everything is up and perfect on your blog. The above-mentioned productivity tools for bloggers will surely help you win your audiences’ heart with the content you present. Do you use any of the productivity tools above? Or do you know any other productivity tools for bloggers that we didn’t mention in the list? Feel free to mention them in the comments section below. I use Grammarly, I find it very helpful. I’m also a big fan of project management tools. I usually work on a couple of projects so sometimes keeping up with everything might be challenging. https://kanbantool.com/ helps me organize my job better and make sure that I keep all the deadlines.